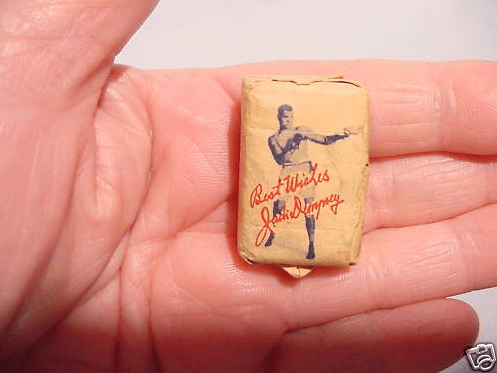 Then check out this vintage sugar packet featuring the famous boxer . This packet of Jack Frost Tablet Sugar not only features the famous sports figure (and his “Best Wishes”) but it’s from his restaurant, Jack Dempsey’s Restaurant Bar & Cocktail Lounge located on 49th & Broadway in New York City (there were apparently several locations). 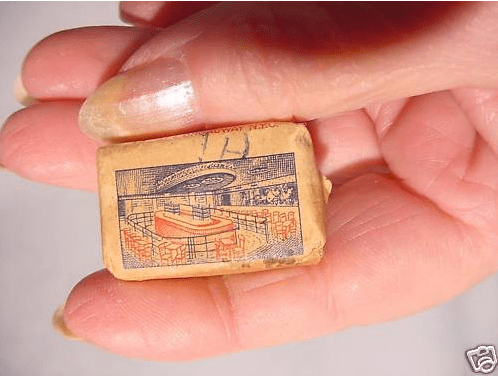 So this particular item contains more cross-collectible appeal (vintage advertising, ephemera, restaurant items, and sports collectors as well as fans of Dempsey) than there are calories in the sugar — not that you should even think of tasting what is probably at least 60 year old sugar. Hello, I have 5 western union telegrams from back in the 20’s sent from Jack, All hand written by Jack and signed, I have had them for years now, and am looking to sell them, Would you know anyone interested? I can send pics if you or someone you know would like them.